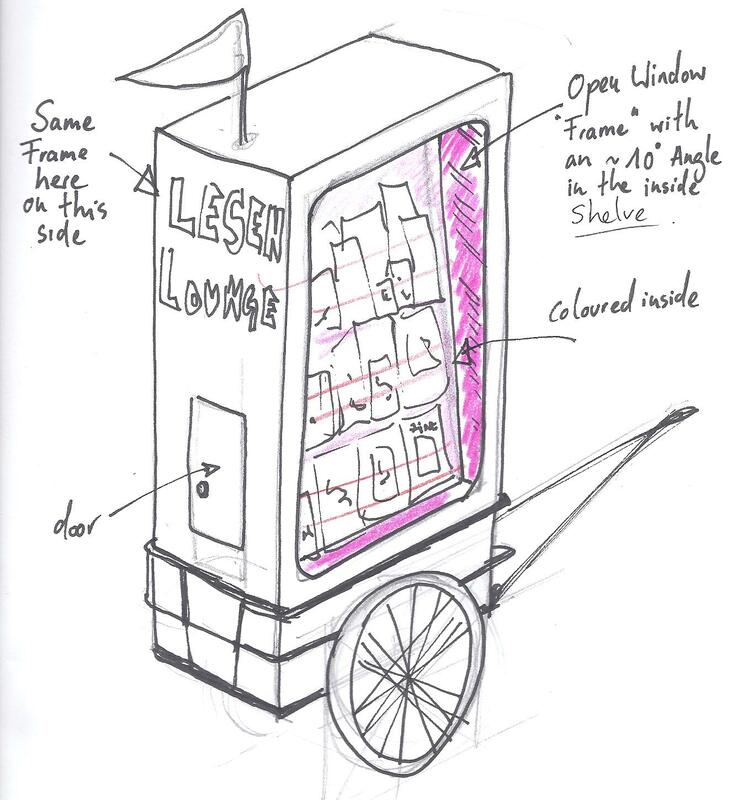 On August 5th, we’ll be rolling out (literally) a new project called ‘the lesen lounge‘. This is a carpenter rendering of what’s to come! Anyone that encounters us set up in the open air is free to explore our zine collection and can even make one of their own while hanging out. Check out our new site and if you’re in Berlin, come and visit!